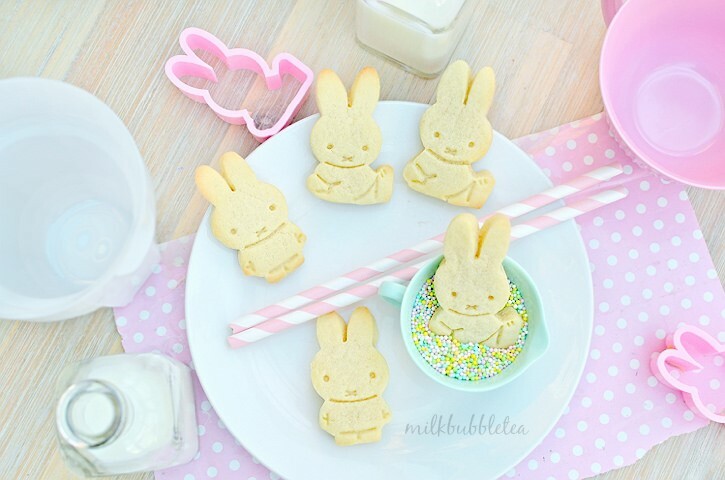 Mmmm, Miffy has been baking Miffy cookies! Don’t they smell yummy? 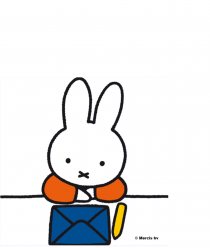 Do you want Miffy to show you how to make your own? Ask an adult to pre-heat the oven to 160 degrees (Centrigrade). Add the butter and caster sugar to a large mixing bowl and whisk until the texture is light and fluffy. Add the egg and vanilla extract and continue to whisk until it’s all mixed together. Now carefully add in the sifted flour and mix well, until it starts to form a dough. Don’t eat any yet though because it hasn’t been cooked! Place the tray in the fridge to chill for 15 minutes. This is to make sure Miffy doesn’t change shape when she’s in the oven. Take the cookies out of the fridge and ask a grown up to put them in the oven. Bake for around eight minutes but be careful not to make them too crispy! When the edges – especially Miffy’s ears – start to turn golden, ask an adult to put them on a tray to cool. Once the cookies have cooled, they are ready to eat! Yum! Visit Milk Bubble Tea for the original recipe.